Sailing North West from Ardrossan into the Clyde estuary and through the enchanting Kyles of Bute then into the open waters of Loch Fyne. 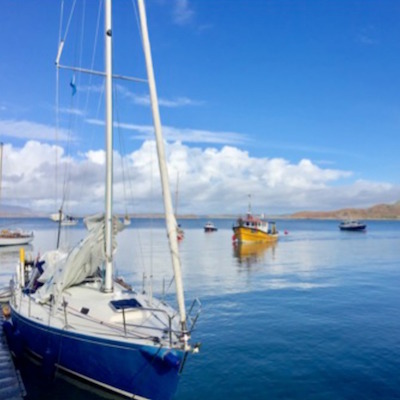 Fresh Scottish shellfish will feature on Bluebird menus as we can get supplies of scallops, lobster, langustines, crab, oysters , mussels, etc, from the gin clear waters of the area. Enjoy dramatic scenery and the “Sleeping Warrior” on the Arran skyline. The sheltered waters of Loch Fyne provide excellent sailing conditions.